make more money having fun! 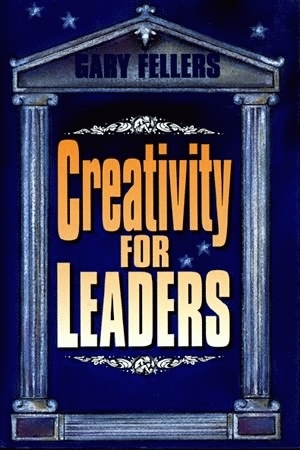 Creativity for Leaders is the answer to that lost sense of purpose in your work. Dr. Fellers’ book is for all who would like to be a source of energy, for themselves and to others. Because he focuses on several parallel activities such as effective time management, the creativity basics, stress reduction, and the advice of the mystics, Fellers promises a lasting impact on your life. Just follow the instructions in this down-to-earth, how-to book. Since his approach can be applied to more than just business, it can be used it to avoid anxiety at work, to market a new product, to design a machine, or even to catch a fish. The enrichment necessary for you to become more creative will spill over into all the areas of your old life and make it new. Gary Fellers is a quality-management consultant and author of Why Things Go Wrong, also by Pelican.